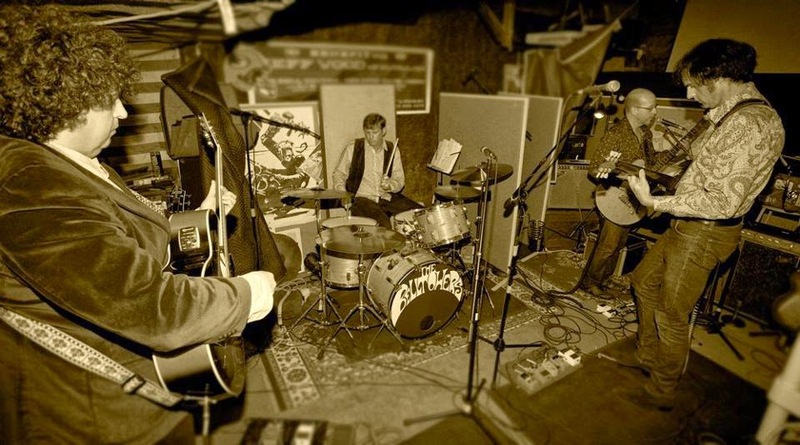 Florida based folk-rock group The Belltowers have been going since 2006, Market Square are proud to be releasing their second 45rpm single and the labels eighth release. Here To Stay b/w Lovin' You (Leading Me On) hears The Belltowers continuing in their Byrdsian take-over, following on from their debut 45 on Hidden Volume Records, The Belltowers continue with their high quality twelve-string janglers and Paisley-Underground inspired folk-rock. The Band consist of ex-Lears frontman Paul Mutchler - Vocals & 12 String Guitars, Eddie Foeller - Guitars, Mandolin and Harp, Marshall Huggins - Bass and Keys and Thomas Miller - Drums & Percussion. 'Here To Stay' the A-side, hits with perfect paisley pop stylings, recounting early 80s bands such as The Rain Parade and The Three O'Clock, the song ebbs and weaves, with continuous Rickenbacker jangle, harmonies and an underlying Hammond organ swirling gently beneath, the break has an interesting backwards guitar solo and overall shows a great level on musicianship and songwriting skills from The Belltowers. The B-side 'Lovin' Me' is a short and sweet jangler, Mutchler sounding more like Roger McGuinn than McGuinn himself, the track also has a sort of Long Ryders country-rock feel to it also, great drum fills permeate the scene whilst the compressed treble-tone action of the Rickenbacker 12 string guitar chimes through. 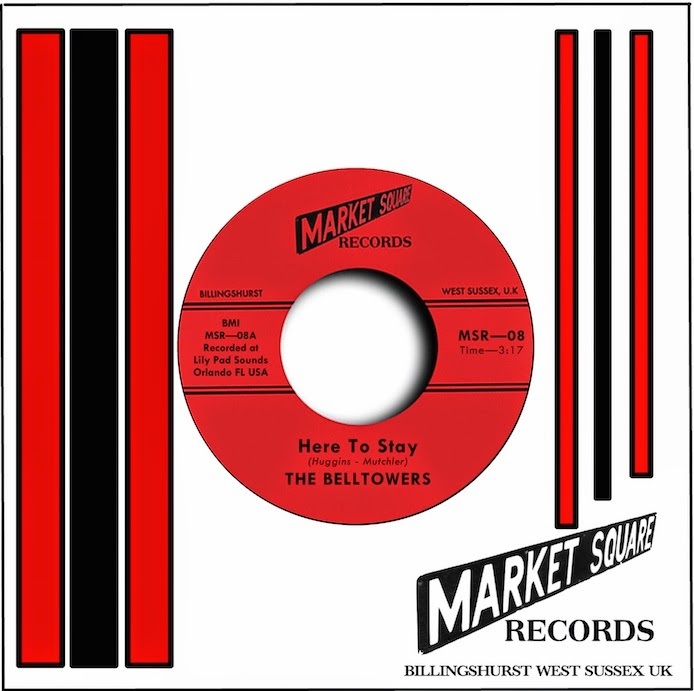 The Belltowers like countless other groups in America right now are recording and writing great music, Market Square Records are pleased to be releasing the likes of these groups in Europe and giving them a chance to have their music on the great format of 45rpm 7" wax. Check out The Belltowers on Facebook.